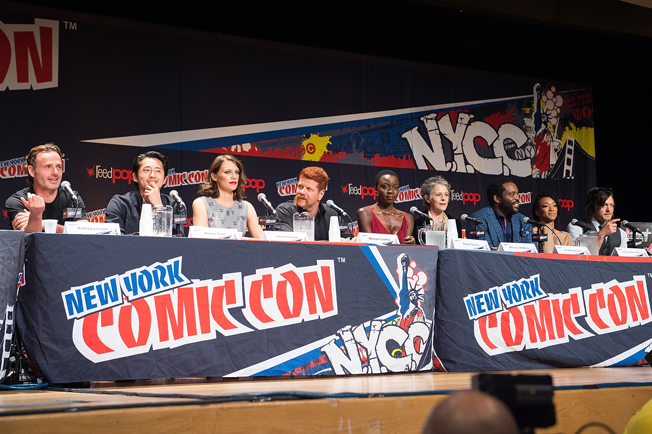 New York Comic Con wants to shed its "little brother" status. "It's been a climb," said Lance Fensterman, senior global vp of ReedPOP, which produces New York Comic Con and is not affiliated with the original San Diego event. "Over the last four to five years, you've seen the film studios, television and more mainstream brands really take notice of this passionate fan community that we've developed." And brands have taken note of the New York convention's burgeoning popularity. "In New York City, there are very few venues and events that take place that really attract millennials," says Todd Reynolds, marketing manager from the Northeast region for Chevrolet, which has been a partner since 2011. Chevy made the convention one of its stops in 2011 when it was rolling out the subcompact Sonic. "We felt that based upon the demographics and age groups that were attending, it would be ideal for consumers we were trying to reach." This year, Chevy is working with the American Cancer Society—part of a larger collaboration for Breast Cancer Awareness Month—to create a special T-shirt designed by comic-book artist Amy Reeder that will be sold at the official show store. Chevy will also display a specially wrapped pink Camaro on the convention floor and continue to promote its #IDriveFor hashtag; Chevy donates $5 for each hashtagged post. "We don't do a lot in NYC as far as promotion because of costs," said Reynolds. "But this is the one promotion that we do each and every year." AT&T will again be the presenting sponsor for the main stage, which houses the marquee events and panels—this year will see Marvel debut the first footage from its upcoming Netflix series, Jessica Jones, and the U.S. premiere of Fox's X-Files revival. Three upcoming network TV shows from Warner Bros., including CBS's highly anticipated Supergirl, will air their pilots there. And Sony will bring Jack Black and the stars of the upcoming Goosebumps movie to the main stage (seen below, last year). The convention also has a livestream, #NYCCLive, in partnership with Courtyard by Marriott and Twitch. Courtyard will have its own booth on the show floor, where it will film live segments, including interviews with guests. General Mills' Honey Nut Cheerios will also sponsor a morning recap livestream. 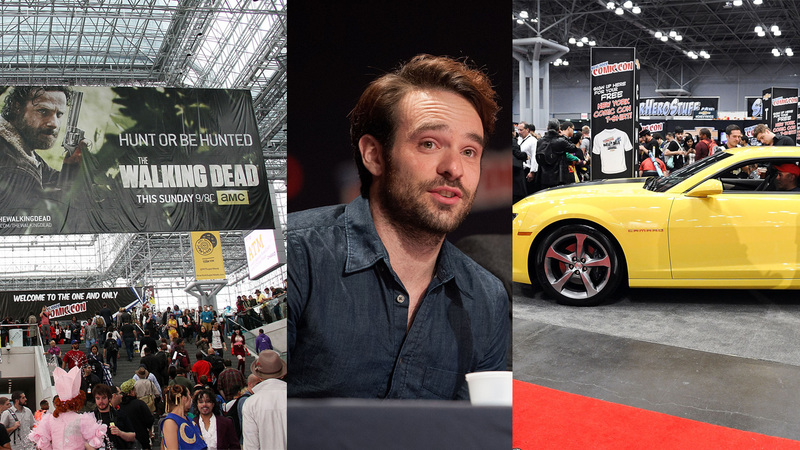 New York Comic Con has added six new brand partners this year, including Progressive and Pepsi. But ReedPOP's director of accounts, Lawrence Settembrini, said the company can still be choosy. "The one thing that we don't want to see is a brand come in that doesn't understand the space but wants to activate and not know what they're doing and fail," he said. "It looks bad for the brand, and it looks bad on us." Along with being the presenting sponsor of the official NYCC app, Progressive will give out storage lockers to attendees and have 20 people dressed as pitchwoman Flo to hold fans' places in line. Pepsi saw the convention as the perfect place to offer its upcoming special edition "Pepsi Perfect" bottles from Back to the Future Part II ahead of the nationwide launch. "It just made a ton of sense for us to be involved," said PepsiCo marketing director Linda Lagos. Fans can snag one of the bottles by either dressing up as Marty McFly (hoverboard optional) or competing in a "Wild Gunman" contest. "Our partnership with NYCC allows us to literally have these guys physically interact with the product and aspects of the movie that they've only seen on screen," said Lagos.